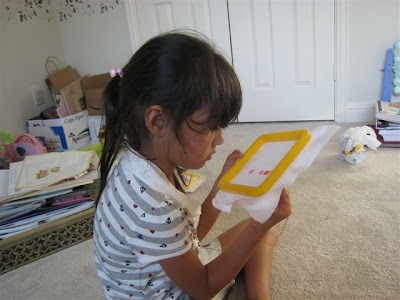 Faith has been interested for awhile in learning how to cross-stitch. She likes most things crafty and I actually know how to do this, so it seemed like a good idea. While Nana & Miss Barb were visiting, we went to Hobby Lobby. 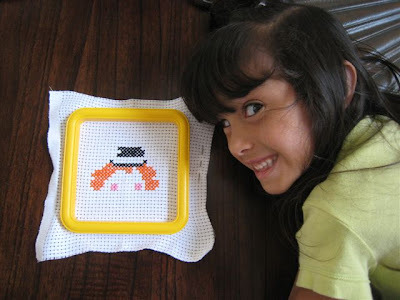 We found, on clearance, beginner (kids) cross-stitches for 90cents a kit. Since I had no clue if she would like it or even be able to do it, 90cents sounded quite lovely to me. I let her pick a couple of kits and we got a clown, a fish, and an inchworm with flowers. I went through the three of them and it seemed like the clown was the easiest pattern, so we opened it up and I showed her the basics. A few days later after finishing the cheeks, hair and hat! She now has added the flower to the hat and started on the bowtie. She's been working on it while Ben is napping because he's not exactly the helpful sort and is really liking it! We were at a different store and picked up one more kid one for 90cents which is a cute little gumball machine. I promised her after she finished these, we could look for a different kind or one that she really wants. She found a $10 kit with 4 or 5 different things in it, but I want to make sure she will do it before we buy the bigger one. We're taking a break this summer too and it's great! 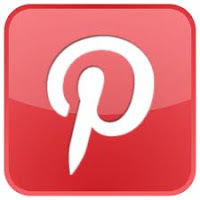 I have been trying to find a kid friendly cross stitch for Madison. Where did that comes from? I totally missed the second paragraph. My mom taught me to cross-stitch as a kids. I don't think I remember how though. Make sure she does a couple of Christmas ornaments. I did when I was 9 or 10 and my mom gave me them when I got married. It's nice to have them to pass on to my kids one day.